The Pisanosaurus is one of the many intriguing mysteries of the dinosaur world. It lived in the continent of South America roughly 228 to 216 million years ago. 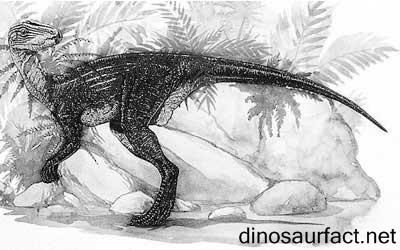 It is believed to be one of the most ancient ornithischians since its remains date back to as far as the Carnian Age. The dinosaur was found in rocks of the Ischigualasto formation of Argentina. 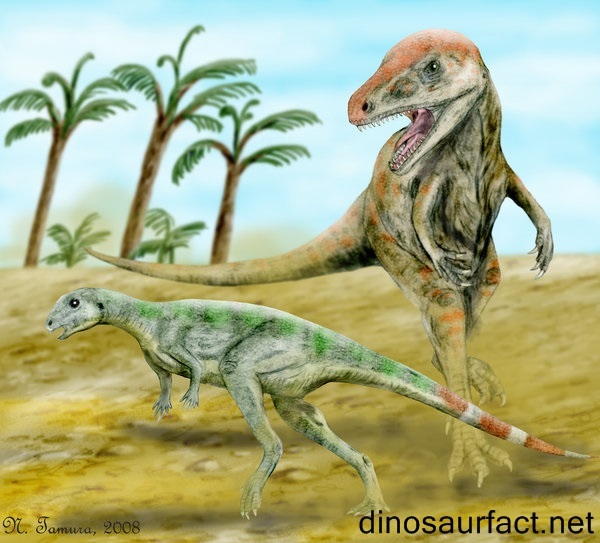 The late Triassic is the final epoch of the Triassic period, geochronologically. It is rich with dinosaur history with a large plethora of fossils excavated from Triassic Formations all throughout the globe. The Carnian was a part of the upper Triassic which was home to many other primitive dinosaurs and other prehistoric creatures. The Carnian age is the lowermost or earliest stage of the Upper Triassic period. The Carnian is preceded by the Ladinian and is followed by the Norian stage. A significant change occurred in the Earth’s geology in this period. This corresponding time frame is marked by the event we know of as the Carnian Pluvial event. The age of the Carnian stage is known to be from 228 to 216.5 ma. One of the oldest researched and documented dinosaur assemblages the remains of the Carnian rocks are found in the Ischigualasto formation of Argentina amongst other places. The dinosaur is known from the single fragmentary skeletal remains that were found in the Argentina’s ‘Agua de Las Catas’ locality of the Ischigualasto Formation. These remains were collected by José Bonaparte and his team of excavators in 1962. This Formation is a part of the La Rioja province of Argentina. Galileo J. Scaglia has been credited with the discovery of fossils. The fossils are in a poor condition with most parts damaged. They contain the remains of a crushed skull, neck and shoulder vertebrae, a femora and some bones from the jaws. Also metarsals and phalanges have been found. The specimen also contains the remains of an indeterminate bone fragment. The remains have been classified as type specimen PVL 2577. The holotype is housed at the Laboratory of Vertebrate Paleontology in Miguel Lillo, in San Miguel de Tucumán in Argentina. The single known type species for this genus is the Pisanosaurus mertii. The La Rioja Province of Argentina is located in the west of the country of Argentina. Excavations in this province have led to the discovery of the Riojasaurus and Coloradisaurus dinosaurs among many others. The La Rioja province was the breeding and living grounds of many herbivorous or omnivorous sauropods from the Late Triassic period. Several ornithischian fossils have been found besides the Pisanosaurus. The Ischigualasto Formation was earlier dated back to the Middle Triassic but is now believed to actually belong to the Carnian stage of the Late Triassic. The Ischigualasto Formation was a floodplain that is believed to have been volcanically active. It was covered by forests, and had a warm and humid climate. The physical characteristics of the Pisanosaurus are subject to debate due to the incompleteness of the fossils. The creature is believed to have measure around 1 meter or 3.3 feet in length. The estimated weight ranges from three to nine kilograms. The orientation of the pubis and the features of the tail are subject to speculation as no information is known about these characteristics of the dinosaur from the fossil data. Compared to other ornithischians the dinosaur was small and lean. Bonaparte in 1976, isolated some distinct features in the Pisanosaurus dinosaur that enabled him to distinguish the creature from other like dinosaurs. These features appear distinctly in either the skull or the vertebrae of the creature. The presence of a wide acetabulum and elongated metarsals are two of these anomalies. The Pisanosaurus was an early ornithischian dinosaur. It literally translates to ‘Pisano’s lizard’, a reference to Argentine paleontologist Juan A. Pisano. It was a bipedal creature, i.e. A creature that roamed on its lower legs. It fed on pines, spruce, ferns and giant conifers that are believed to have grown along the riverbanks of the major rivers in the Ischigualasto Formation. It was a terrestrial i.e. 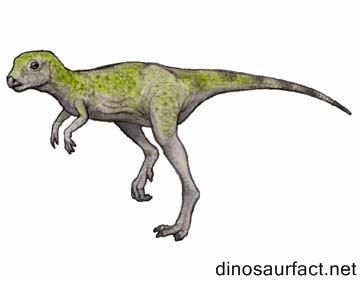 ground dwelling creature and is believed to be an herbivore like the other known ornithischians. 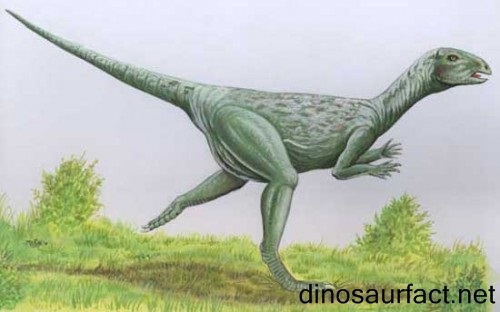 Bonaparte in 1976, put forth the theory that the Pisanosaurus being one of the earliest and most primitive ornithischians, must have played a very important role in the ecology at that time. He postulated that the Herrerasaurus, which also belonged to the same age, must have fed on the Pisanosaurus. Thus it is evident that if more data were obtained, it would be possible to establish geological and ecological relationships with other dinosaurs and other prehistoric creatures. The subject of the dinosaur’s classification is also controversial as the dinosaur has been placed in many genera over the years. Recent studies show that the dinosaur is very basal to ornithischians including Trimucrodon, Eocursor and perhaps some other dinosaurs. Being perhaps the most ancient ornithischian, the Pisanosaurus can help us understand how these creatures evolved. The Pisanosaurus belongs to a vital period in the entire Mesozoic era. This period, the Carnian is an important phase in the entire time history of the earth’s ecological and geographical aspects. The Carnain and pre-carnian periods belonged to creatures like rhynchosaurs and aetosaurs, the non-dinosaurian reptiles of pre-historic times. Cladistics analysis has revealed that dinosaurs were few in number at that time. Thus, the Pisanosaurus might hold the answers to the evolution of the dinosaurs. It is therefore imperative to study this dinosaur in detail. This puts forth the demand for more fossil data and stricter analytical methods. We can only try and hope to learn more about this ancient, tiny creature that could be an ancestor of the gargantuan monsters that ruled the planet for so many years. Only when we have more data, can be we be certain. Until then the unsolved myths about these dinosaurs remain etched deep in the earth.